Psychologists working at the University of Sussex have published new research which shows that talking on a hands-free mobile phone when at the wheel can be as dangerous and distracting as talking on a regular hand-held phone. The new research has led to road safety organisations and charities, including Brake, to once again call for the government to review its laws in relation to driving and using mobile phones. The study: ‘Imagery-inducing distraction leads to cognitive tunnelling and deteriorated driving performance’ was published in the Transportation Research Journal. It found that drivers who are engaged in any kind of conversation which stimulates their visual imagination are less able to pinpoint and react to potential hazards. Drivers in the study were asked to think about subjects which required visualisation and whilst doing this they focused on a smaller area of the road and failed to see hazards, even those positioned directly in front of them. The researchers believe their results show that conversations have a much stronger impact on the brain and its visual processing resources than we had previously believed. The brain’s capacity to focus on driving and conjure up visual images isn’t all-encompassing and one has to suffer to allow for the other. The current guidelines for mobile phone use at the wheel is that it is strictly banned unless a hands-free set or some kind of hands-free apparatus is used but this new research shows that whether you’re holding the phone or not, you can still be seriously impaired in your ability to drive. The research from the University of Sussex also highlights there are clear differences between a conversation with a passenger and a conversation over the phone whilst driving. As a rule, passengers will stop or at least moderate conversation when road hazards arise but when on the phone the caller can’t possibly know what the driver can see in front of them so may keep chatting regardless, diverting the driver’s attention from the road. Research has found mobile phone use behind the wheel can be more dangerous than drink driving and so it is something that has to be stamped out. 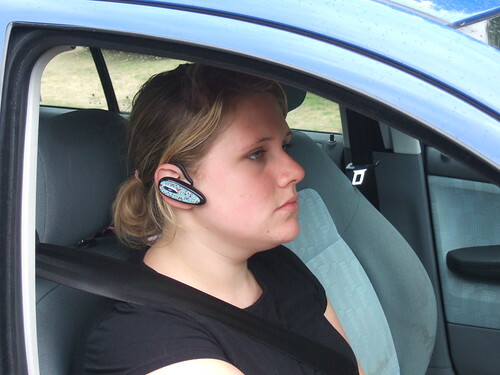 Whilst the current legislation is set on hands-free being less dangerous than handheld, research studies like this paper from the University of Sussex cannot be ignored.